Electrostar livery variation or aberration? Home > News > Southern News > Electrostar livery variation or aberration? Is this a new livery variation or merely a mistake? 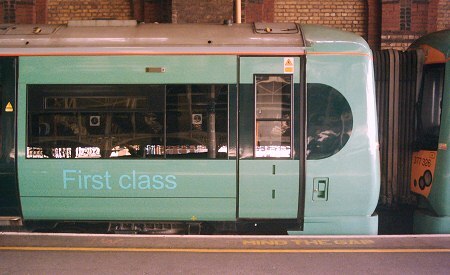 377307 currently has no yellow cantrail stripe above its first class section, as seen here at London Bridge on the morning of 10th May 2007.